CDRX is a business formed from the combined knowledge and experience of veteran investment bankers. With an average of 15 years experience each, CDRX's global team are all experts in their fields, spanning software engineering, ecommerce, electronic cash and derivatives trading, machine learning, structuring, sales, securities law and regulation. The team has seen first hand both the benefits and drawbacks of traditional financial markets, and the emergence of blockchain technology has helped CDRX design and implement a generational improvement in securities trading and ownership. Crypto Depository Receipts (CDRs) and native-issuance cryptoshares are the natural evolution of traditional equity ownership – a $77.7 trillion market – providing all the advantages of traditional stock ownership and the solution to its inefficiencies. The solution enables the tokenisation of both existing equity markets and all new equity issuance. More than just a functionally restricted approach, the solution delivers a suite of asset services (eg. dividend payments and voting) directly via the tokens, both faster and at substantially lower cost than existing methods. The CDR solution isn't limited to equity, it is also being rolled out for bonds and derivatives, a total market size in excess of $600tn. To complement the introduction of CDRs and cryptoshares, CDRX will also be launching an exchange for listing and trading of both non-securitised (eg. bitcoin, ethereum, ripple) and securitised crypto-instruments (eg. CDRs). In most regulated jurisdictions, trading of securitised tokens (tokens that grant legal rights to, or ownership of assets) must be conducted via authorised and regulated entities and CDRX is pursuing authorisation in a number of key jurisdictions. It is also working with regulators more broadly to contribute to an evolving regulatory landscape, aiming for a balance that does not unduly stifle the natural evolution of the securities markets and which also maintains its protections and benefits. Like stable-coins, CDRs are securitised tokens, backed by real-world assets, whose value matches the value of the underlying stock or bond that each CDR represents. Rights to these assets is guaranteed by legal title and held on behalf of token owners in a separate depository bank/trust, outside the control or ownership of CDRX. This project solves a real problem (or GAP) in the securitization of financial products. In particular, fractional ownership of publicly traded stocks. Excited to see how this project develops. The idea is interesting but it looks like a security token offering. So investor should be very careful and watching to legal opinion before any further action. And also I think investor can directly invest on stock instead of CDRX-to-CDR. And what's the unique technology and capability to run this project? Please identify. 1) STOs: The CDRX utility token and CDR securitised tokens are different. The CDRX utility token is the 'master key' to the full universe of CDR tokens. 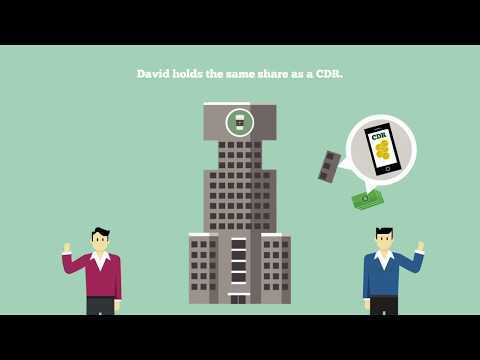 CDR tokens are backed by underlying assets. CDRX utility tokens are not backed by any underlying asset or cashflows. This is outlined in the white paper, explainer videos, website and icobench summary. 2) Stocks: The reviewer may prefer to trade whole stocks, but would be in a very small minority. The majority of investors are eager to benefit from cheaper costs, faster settlement and fractional ownership - buying into companies previously out of reach (among a considerable number of other benefits). Lesser benefits already underpin billions of dollars of global investment committed to tokenisation of assets. This is explained extensively in the white paper, explainer videos, website and icobench summary. Issuers also stand to benefit enormously from our approach, as demonstrated by the fact that we are approached frequently by large companies wanting to list on the platform as soon as possible. 3) Technology and capability: 120 years of combined financial services experience spanning trading, sales, structuring, technology, ecommerce, legal and regulatory - from tier-1 investment banks and the largest trading floors in the world. This is outlined in the white paper, one pager and website. I would refer the reviewer to our youtube channel for an example video of what to expect from the technology. As the reviewers linkedin profile shows no subject matter expertise, it is disappointing he did not read the white paper, one page summary or the website - which are also available in both simplified and traditional chinese. He is welcome to contact us for further clarification. Alternatively for an independent opinion, he may wish to contact Clemen Chiang (above) who is the most qualified of the reviewers to date. Team is solid but it would be bettet to have some high ranking crytpo funds or capital funds for backing as security token is still regulated by Gov. But a good thing then is that the project is building a platform for trading botht utility and security so investors can have more options and confidence to join. CDR testing began with a closed set of clients. Roadmap for regulator engagement laid out. Agreement to use (and right to buy) sharemarket.com for Exchange. White paper released to the public. Algo toolkit (ver 0.9 beta) launches. Extension into cash bond CDRs. Launch of institutional OTC desk. Release of decentralised Exchange (ver 2.0), non-securitised . Regulator approvals received (mid-sized jurisdictions). Regulator approvals received (large jurisdictions). Purchase of stake in traditional bank enabling improved ‘real-world’ integration.